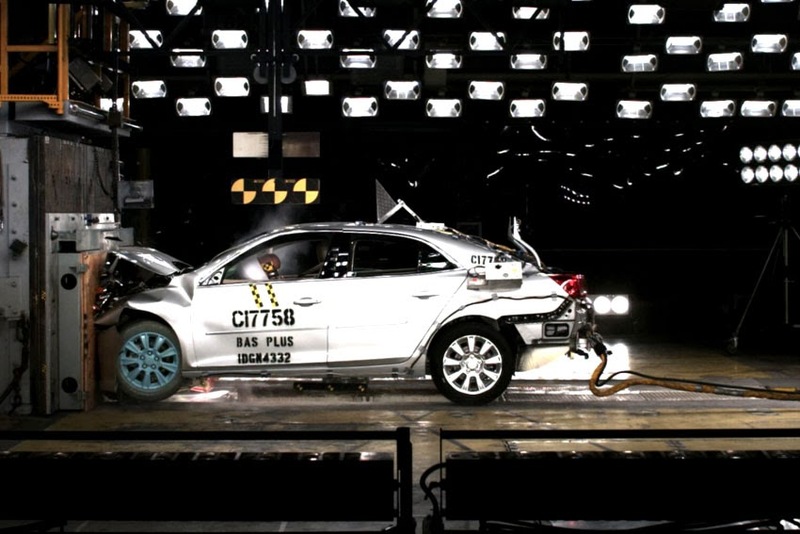 The 2014 Chevrolet Malibu mid-size sedan has received the highest possible 5-star Overall Vehicle Score for safety as part of the National Highway Traffic Safety Administration's New Car Assessment Program. for new vehicle buyers, especially for those in the mid-size segment," said Gay Kent, General Motors General Director of Vehicle Safety and Crash worthiness. "The customer is at the center of our day-to-day operations and when we design vehicles, it's their safety that we have in mind." Safety technologies featured on the Malibu include an ultra-high-strength steel safety cage, roll-over protection and 10 standard airbags including knee airbags for both driver and front passenger. In addition to these passive safety features, several other available active safety technologies, such as Forward Collision Alert and Lane Departure Warning, can assist in avoiding a collision. Side Blind Zone Alert uses sensors to warn drivers of vehicles entering their blind spot on either side. The pairing of Rear Cross Traffic Alert, new to Malibu for 2014, and rear-vision camera can make backing out onto busy streets a less-stressful affair.